The real estate industry experts at J. Ettenson Realty have decades of combined experience in offering premium real estate listings in Rhinebeck. 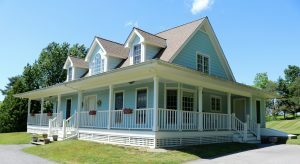 We are highly-experienced in assisting our clients in the Rhinebeck area in the searching and posting of real estate listings. Our reputation in the field speaks for itself. We offer a number of real estate listings in Rhinebeck that would potentially be a great option for you. On the flipside, we can also assist you in getting your property in Rhinebeck properly listed. Mo matter what your needs may be, our friendly and helpful team members will help you every step of the way. For more information regarding the real estate listings that we have available in Rhinebeck, please call J. Ettenson Realty today at 845-876-7355. You can also get in contact with any of our friendly representatives by completing the online request form on this page. At J. Ettenson Realty, we stand by three principles as we serve our clients throughout the Rhinebeck community. For one, we are committed to providing our clients with the hard work needed that goes into buying or selling real estate listings. Secondly, we believe in being an advocate to our clients in all situations regarding real estate listings. Finally, we provide our clients with the valuable knowledge of the market and area that we have at our disposal so that our clients can make informed decisions. We proudly offer featured real estate listings in a number of sizes to suit a variety of needs. From modern designs to classic styles, J. Ettenson Realty has the properties that you need in Rhinebeck. No matter if you are looking to buy or sell property in Rhinebeck, our experts can help find clients budget friendly solutions that meet their goals. As far as purchasing real estate goes, the experts at J. Ettenson Realty will take your price restrictions into account while helping you along with your decision. To find out more about the real estate listing offered at J. Ettenson Realty, please call us now at 845-876-7355. If you would rather submit a request online, simply fill out the easy-to-use form located on this page.